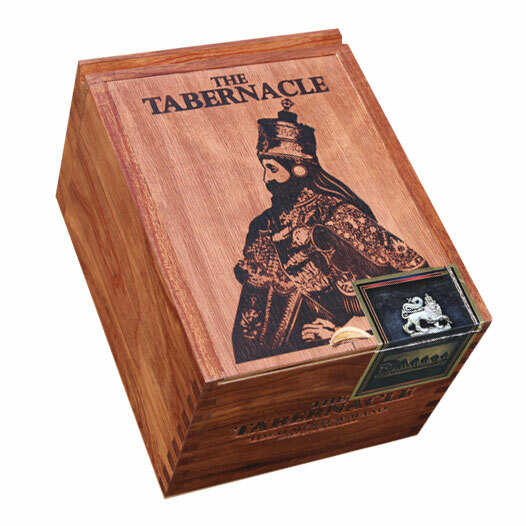 Buy Foundation The Tabernacle Cigars Online! Growing up in Connecticut, Nick became familiar with the thick and gnarly tobacco leaf the area was known for: Connecticut Broadleaf. He would eventually be brought into the quickly-growing Drew Estate brand as Jonathan Drew’s right hand man. Living in Nicaragua for 11 years nearly exclusively, Nick became known for his knack for blending Nicaraguan tobaccos with Connecticut Broadleaf maduro wrapper leaf - helping with blends such as Liga Privada No. 9, T52, UF-13, Nica Rustica, and many more. Now, after debuting his own company, Foundation Cigar Co., Nick has finally crafted a blend in this vein - introducing The Tabernacle. The cigar tells the tale of Haile Selassie, 225th King of Abyssinia, a descendant of King Solomon and “The Tabernacle” references the housing for the Ark of the Covenant. In other words, this blend is holy! Nick teamed with industry veteran AJ Fernandez, utilizing some of his most prized tobaccos to bring his vision to life. Select Honduran and Nicaraguan tobaccos are bound in a Mexican San Andrés binder and a dark, oily, Connecticut Broadleaf maduro wrapper. Cigar fanatics, this is what you’ve been waiting for!